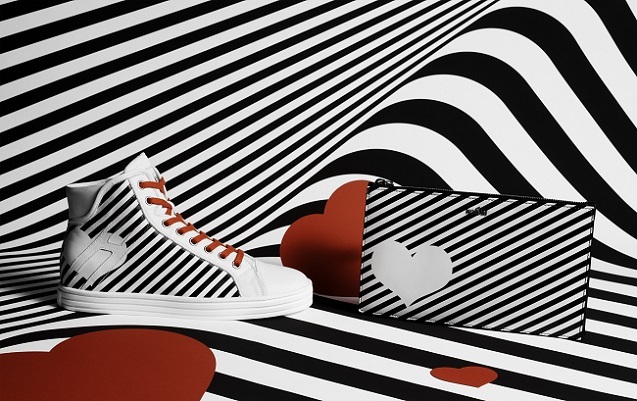 HOGAN 2016 Valentine's day limited edition introduces the classic hi-top made feminine and delicate by personalized print in diagonal bands on the side which allow the heart and h logo to be glimpsed. Sport nappa: baby calfskin used as a base for the development of craftsmanship and all personalized screenprint projects. These two distinctive styles are the bold-chic choice for an audacious romance. Love is in the air and cherish the perfect saint valentine’s day!